It’s only taken me 6 months to share this but earlier this year, I made Elliot a sweet Beast Costume Shirt to wear to Walt Disney World. It was a really fun and easy Disneybounding idea. 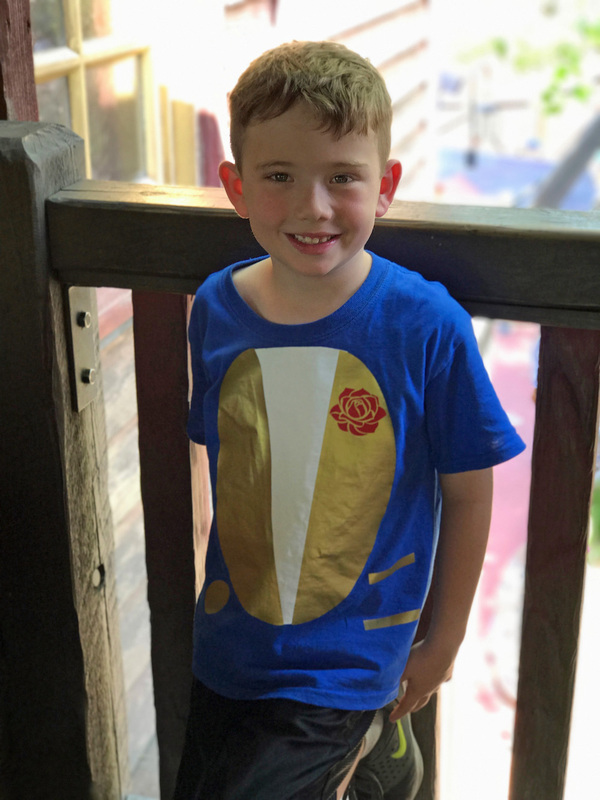 While he wore the Beast costume shirt for Disney bounding, if you added a mask you could have a sweet Beauty and the Beast costume too! You will need a royal blue shirt and iron-on vinyl to make this shirt. 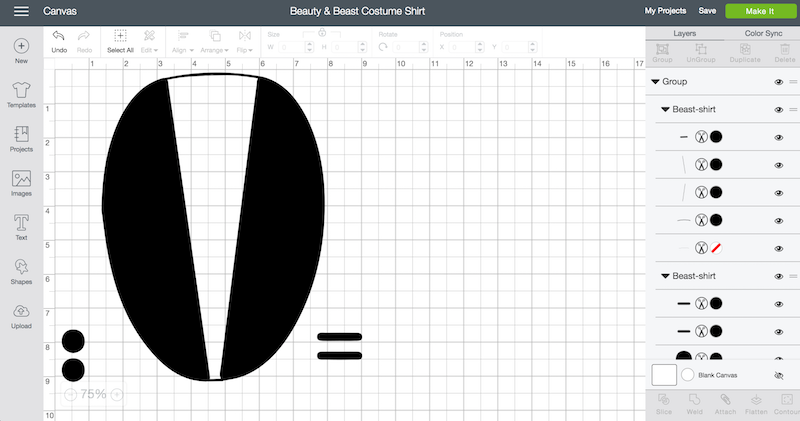 Download the Beast costume cut file here. I used my Cricut Explore Air to cut the design out of vinyl. You can size the design up or down depending on the size of the shirt you are making. Then iron it on your design using a regular iron, steam press or Cricut Easy Press. Beast doesn’t usually wear a rose but I added it the Beast shirt for a little more pizazz and an ode to the enchanted rose from the fairytale. 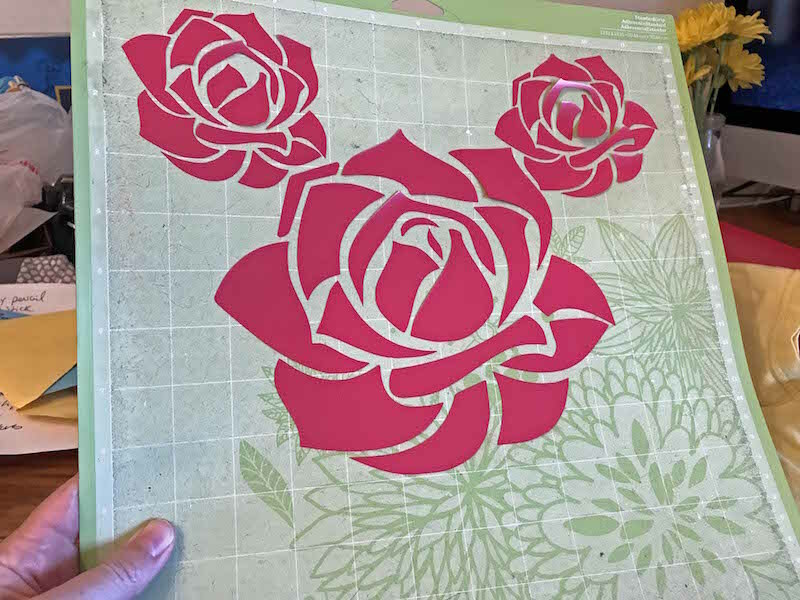 You can use any rose you like, I bought this rose file on Etsy. 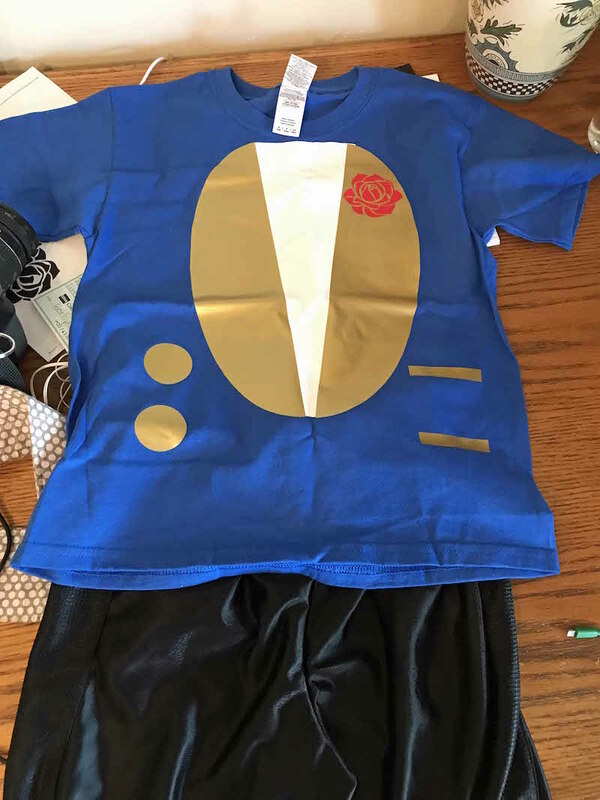 Using the same rose, I also created a rose Mickey shirt for me to wear. I just used 3 roses to create a Mickey Mouse head. Once you’ve made the shirt, pair it with black shorts or pants. 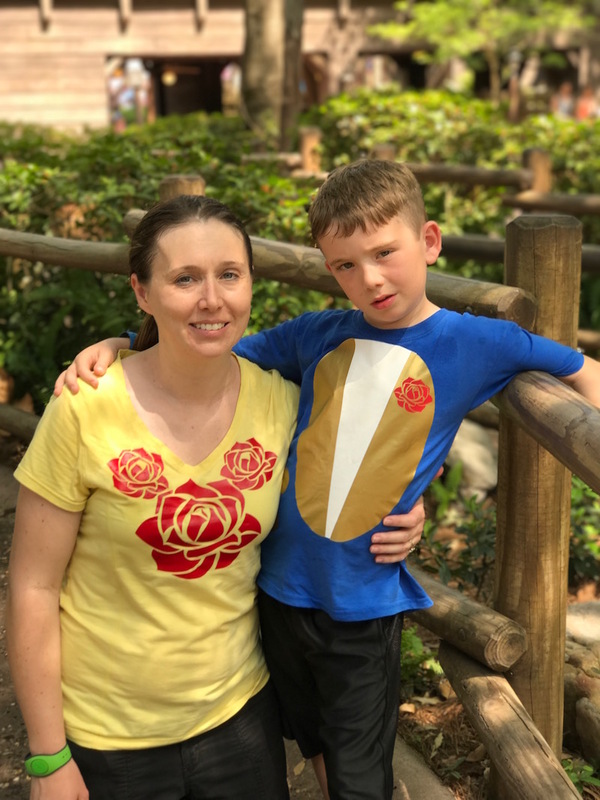 For Walt Disney World, we paired the Beast shirt with black shorts which is more comfortable in the Florida heat. If you want a more costume look, try black pants with gold duct tape embellishment like I used for our DIY Beast Costume. It’s pretty easy to make black pants look more formal with the gold stripe down the side whether it be duct tape or ribbon. That’s it. 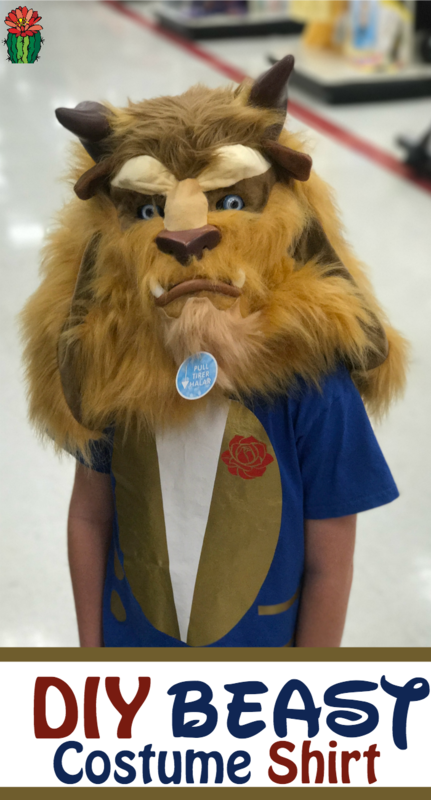 A pretty simple project and Beast costume using a t-shirt and vinyl. Leave a comment and let me know what you think about my Beast costume shirt!